The [[M30 Luftwaffe Drilling]] will be a usable shotgun. The future is subject to change. This article is for an unreleased piece of media. 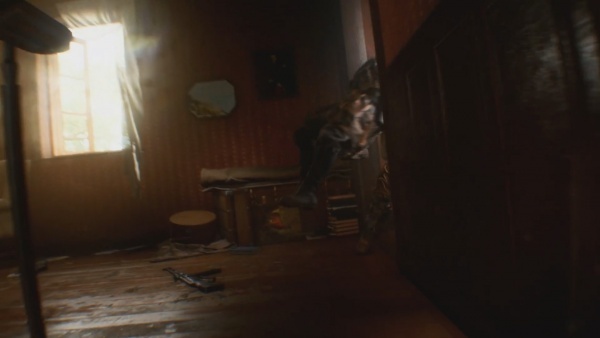 Any screenshots used are from official Trailers and sources. Content is subject to change. 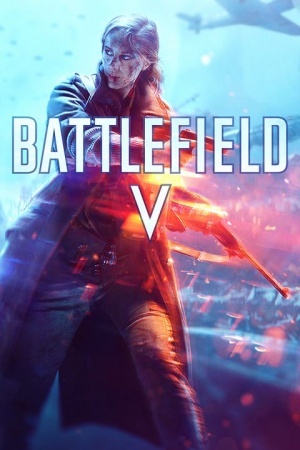 Battlefield V will be a first-person shooter developed by Swedish game developer DICE and published by Electronic Arts. 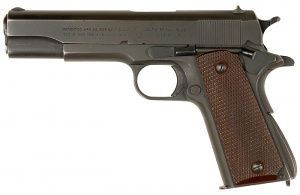 An Icon for the the Colt M1911A1 is seen. 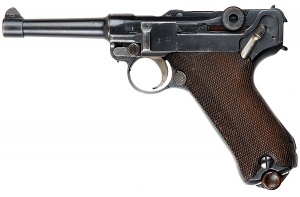 The Leuchtpistole can used by the scout class. 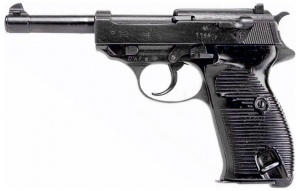 The Luger P08 is a available sidearm. A German officer holds the Luger. 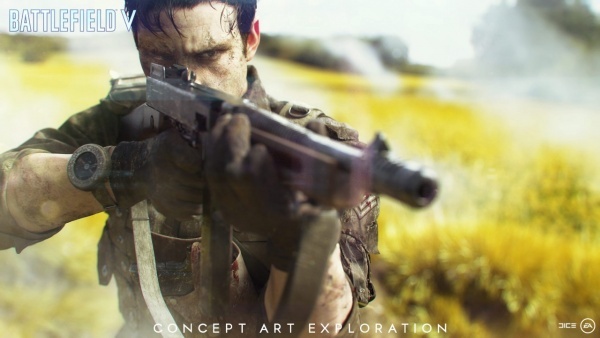 A Walther P38 pistol is seen on a concept art and fired in the trailer. An Erma EMP-35 is seen held by a female British soldier, and will be featured as an Assault class primary. 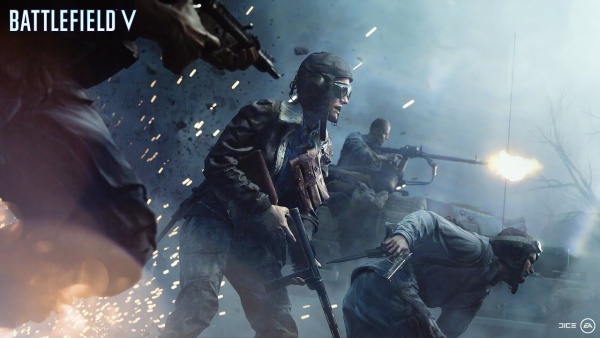 The Haenel-Schmeisser MP28/II (an improved version of the Bergmann MP18 Submachine Gun) is seen in the "Road to Battlefield V" community event. 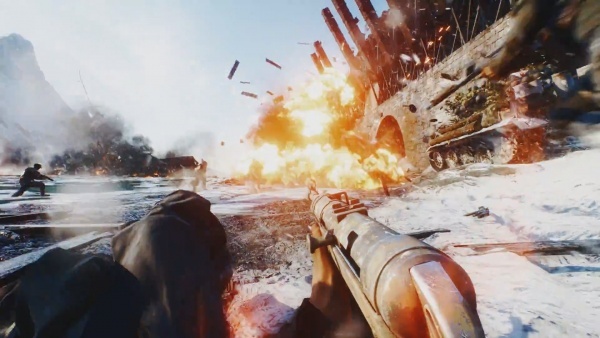 The MP40 is seen in the trailer used by German soldiers, and will be featured in the multiplayer as an available SMG for the Medic class. The M1928A1 Thompson is used by Britsh soldiers. The Thompson on the right. A Sten Mk. II is carried by the soldier who throws back the grenade. The Suomi KP/-31 with stick magazine is seen on a wallpaper. The M30 Luftwaffe Drilling will be a usable shotgun. 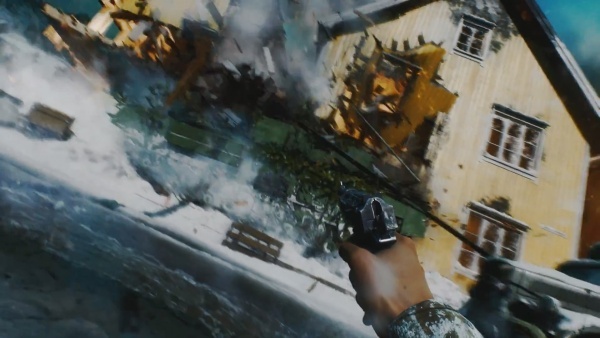 The Fallschirmjägergewehr 42 is seen in the Gamescon trailer. 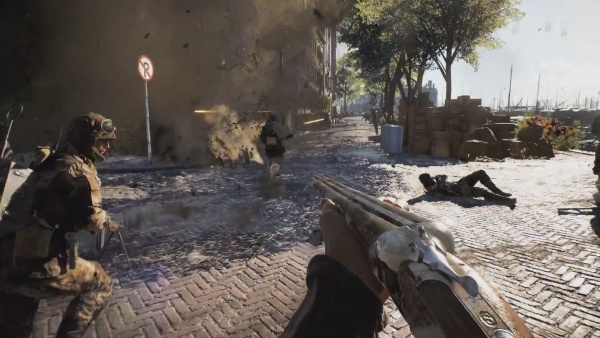 A Gewehr 43 is seen on a wallpaper and in released game footage. 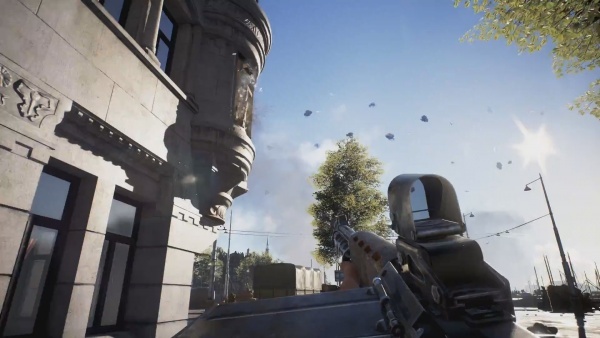 Game footages shows the weapon being reloaded with stripper clips and loose rounds instead of by its detachable magazine. The Karabiner 98k is seen. The Lee-Enfield No.4 Mk 1* will be a usable weapon. 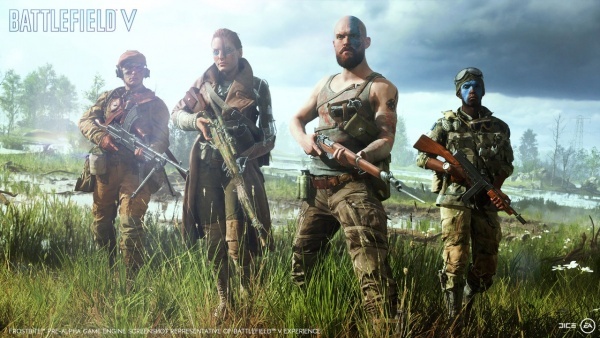 Some of the soldiers on the game's various cover arts wield M1 Carbines. 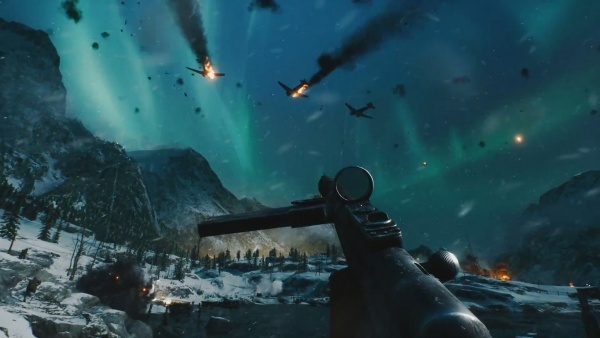 The Mauser Selbstlader M1916 is confirmed to return from Battlefield 1 with the "Road to Battlefield V" community event, which featured an unlockable weapon skin for the M1916 in BF5. 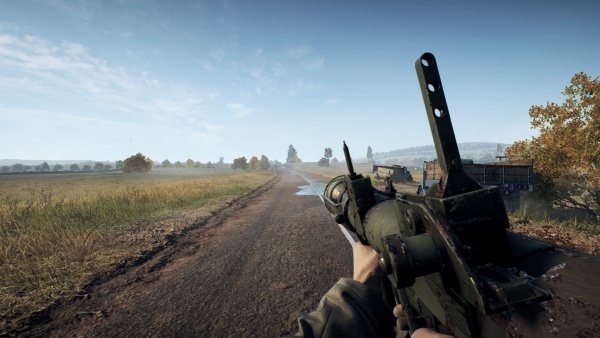 The Steyr Mannlicher M1895 is confirmed to return from Battlefield 1 with the "Road to Battlefield V" community event, which featured an unlockable weapon skin for the M1895 in BF5. 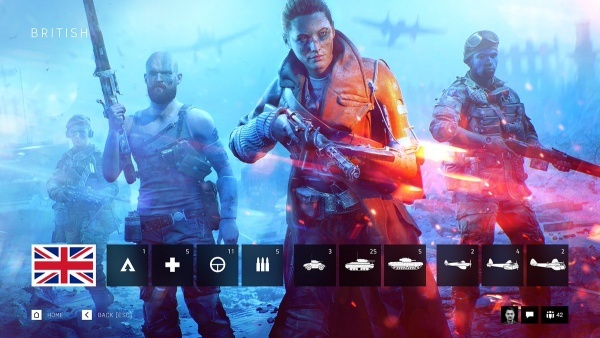 A Sturmgewehr 44 is available for the Assault class. A Bren Gun is seen and used in the trailer. The Bren gun on the left. 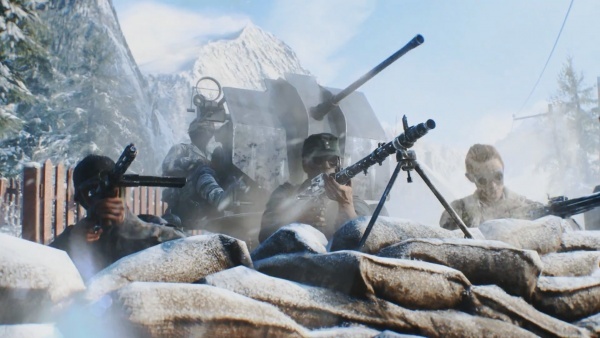 The Lewis Gun is confirmed to return from Battlefield 1 with the "Road to Battlefield V" community event, which featured an unlockable weapon skin for the Lewis Gun in BF5. The MG34 is also confirmed. 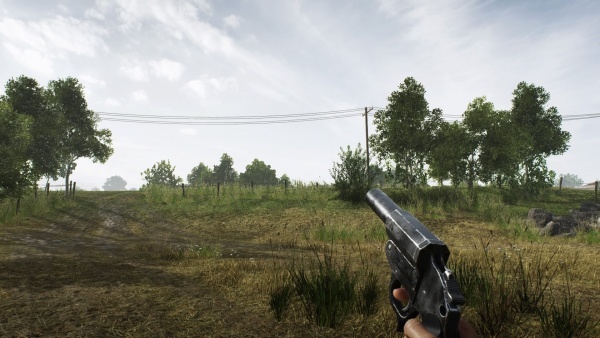 Released game footage shows that the gun can overheat if fired for too long, and the player character will change the quick-change barrel if it overheats. 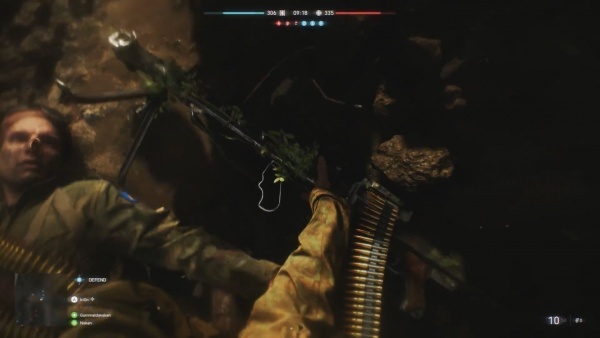 Released game footage also shows that the MG34 cannot aim down sights while being carried by hand, requiring use of bipods to aim down sights. 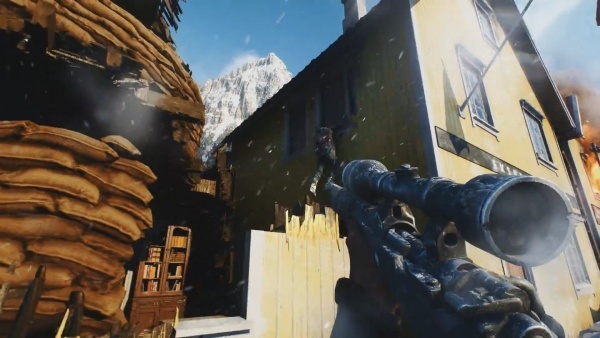 The MG42 is also used in the trailer. Picking up the MG42. Note the fore grip. An Icon of a Panzerfaust is seen. Panzerfaust - 44mm with 149mm warhead. A German soldier is carrying a Panzerschreck. A PIAT is seen over a soldier's back. 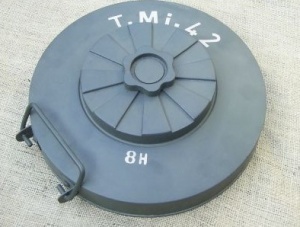 Mills Bombs are seen on British soldiers. 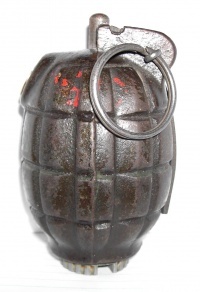 Some Mk 2 hand grenades are seen. 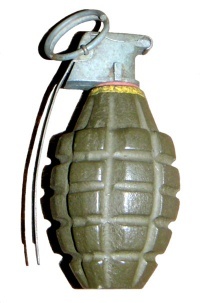 Mk 2 High-Explosive fragmentation hand grenade. 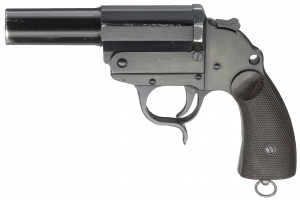 A Model 24 Stielhandgranate is briefly seen. The Tellermine 42 is available for the Support class. A 2cm FlaK 38 AA gun is pulled by a British tank. 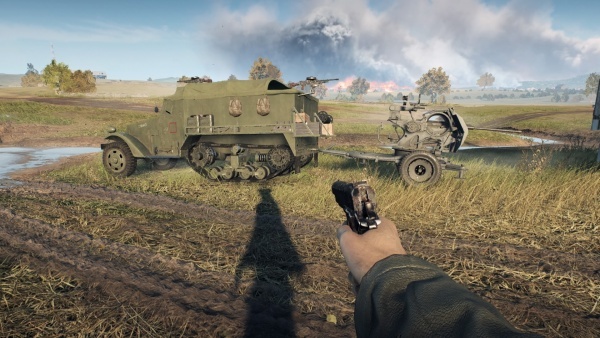 A FlaK 38 firing while being towed, something that will indeed be possible in regular gameplay in BFV. 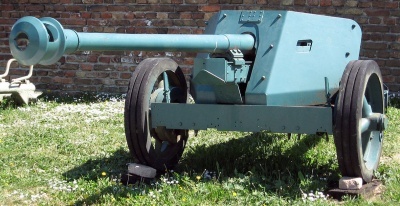 Several German 21-cm-Mörser 18 howitzers can be seen and destroyed in the "Grand Operation" multiplayer mode. 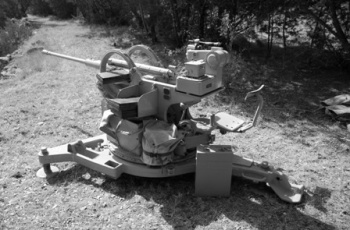 The Besa machine gun is mounted on a British tanks. 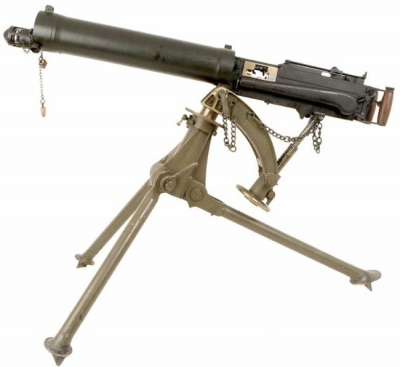 The Vickers Machine Gun is a buildable stationary heavy mg for the Allies.